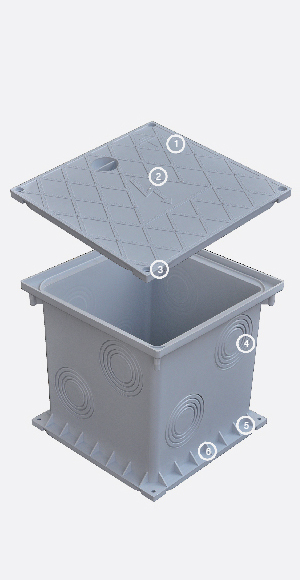 The Marley electrical access pit is designed to provide quick easy access to your cable jointing. There are various sized knock-outs available, as well as an anti-slip trafficable lid and electrical identification to signify that live cables are enclosed. 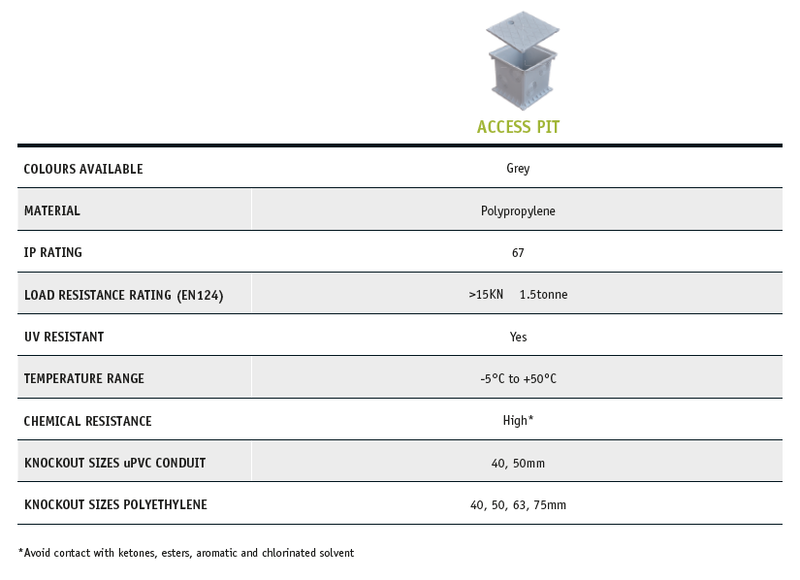 The 250×250 access pit is non-conductive, resistant to impact and chemicals, with a watertight hermetic screwing/lid system that can be made inaccessible to unauthorised persons.